In the song Return to Pooh Corner there is a line that says…It’s hard to explain how a few precious things, seem to follow throughout all our lives… Peter Pan is one of those precious things in my family. 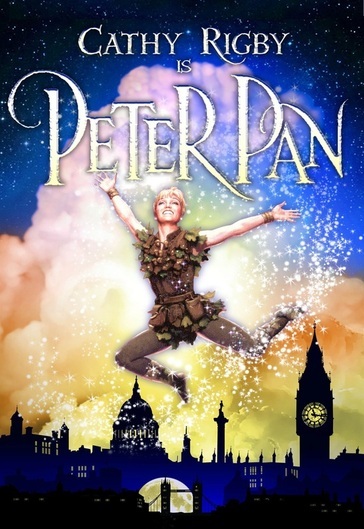 I have always loved Peter Pan so I was thrilled when a little over a decade ago I was invited to attend a special performance of the acclaimed Broadway version starring Cathy Rigby. The performance was special because it was being filmed for the Arts & Entertainment network. I went to the Theater expecting a magical evening and I wasn’t disappointed. It took my breath away. It was a bitter-sweet evening, as I watched in wonder and also watched all of the children in the audience. I was in my late 30’s with a biological clock that ticked louder than Hook’s dreaded crocodile. The evening was perfect…except that I longed to have a child to share it with. As luck and prayer would have it, I did end up having a child a couple of years later and I was thrilled that the performance of Peter Pan that I had attended was available on DVD. My child LOVED the DVD from the first time he watched it. He danced around the room and would crow like a rooster, following Cathy Rigby’s every move. It was a special joy to me that my little boy loved that particular version of Peter Pan. It made my world feel right. Then my son changed. It wasn’t overnight, but a slow slide into nothingness. My child stopped dancing, and singing and then talking. He still loved that Peter Pan DVD, but Autism had come to live at our house and now his enjoyment was displayed in sitting quietly when nothing else would soothe him. Whenever he was sick, and for a while that was often, the only thing that made him feel better was that Peter Pan DVD – the Disney version couldn’t do it, but Cathy Rigby could. As my son worked to regain language, one of the first things he verbally requested was “Peter Pan!” My son worked tirelessly for years to overcome the more disabling aspects of Autism. Through those years we moved a couple of times and at some point the Peter Pan DVD got packed away and was eventually forgotten. My son progressed miraculously and all was right with our world. 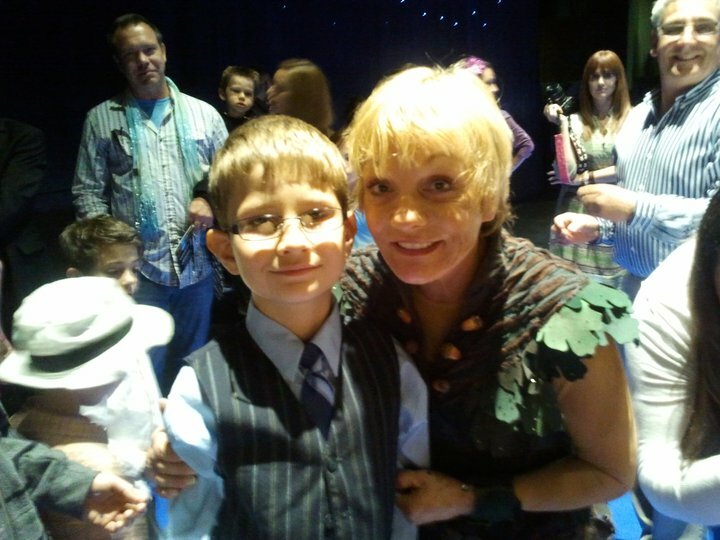 Then last month we were invited to a special performance of Peter Pan, starring Cathy Rigby! I couldn’t believe our luck! I couldn’t contain my excitement. I talked to my son on the way to the theatre and asked him if he remembered anything about the version of Peter Pan that he had loved as a child. He didn’t really. I was dismayed, but hopeful. I knew he was going to love the show, whether he could remember it or not. We sat in the Theater as the overture began and I held my breath, it was a full circle moment that had taken more than a decade, but I was finally going to be able to share the magic of such a wonderful show with my own child! There are no words to describe how truly fabulous the evening was. My face hurt from smiling so much. My child was riveted, transported, transfixed, enchanted, swept away and moved. I was in heaven. I drank in the show, and my child loving the show, like a starved woman at a banquet. I could have stayed in that Theater in that moment forever. I would have gleefully moved in if they had let me! I should also add that my husband who had never seen the live show, but at one point had the entire DVD memorized, sat on the edge of his seat with a goofy grin on his face the entire show. He loved it as much as any of the children which was just the icing on the cake. The next morning my son woke me up singing. Please understand that before Autism my son sang all the time. 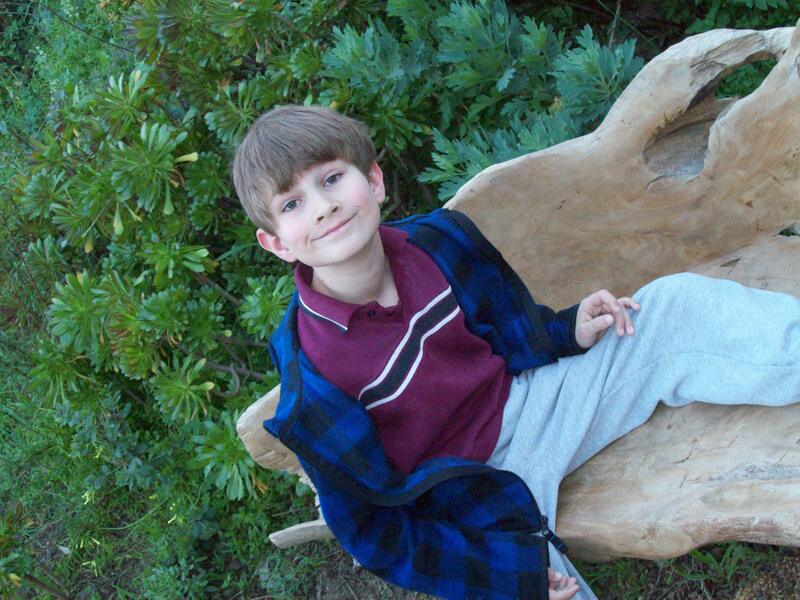 After Autism my son hummed all the time and eventually sang on the rare occasion, softly, so no one could here. Singing, it seemed, and the enjoyment of it, was just part of the collateral damage of Autism. Over time it was just something we had accepted. I don’t know what the magic surrounding this particular version of Peter Pan is, I just know that there is magic in this show for me and for my child. It is as though the show reached through time and touched something in him from years ago, something I thought had been lost in translation. Ever since we saw the show, my child has been singing out loud whenever he has had the opportunity. This morning he woke my husband and I up singing, ” Zip-a-Dee-Do-Da!” Every night he has asked me to sing songs from The Wizard of Oz with him. He has been making songs up, improvising lyrics, cracking us up and leaving us speechless. I thought we had lost this forever. But Peter Pan brought it back. It was something I hadn’t even thought to hope for. So…what can I tell you? Our kids are only little for such a short time. Getting to see their faces lit with wonder is such a precious gift. Getting to share a moment of sheer delight with them is something to be cherished, a memory that will never fade or tarnish. This is what seeing Peter Pan, starring Cathy Rigby can do. This and possibly much, much more. I’m telling you it’s magical! This amazing show is on its way back to New York for the holiday season. If you are looking for something spectacular to share with a child in your life, you can not afford to miss this show. To Cathy Rigby, to the cast and crew of Peter Pan, and to Glenn Casale, the brilliant director of both this production and the one over a decade ago – Thank you! Thank you for the magic! Your work and your talent has made profound difference in the life of one special little boy. Please consider your karma bank full and know that you are nightly included on one mother’s gratitude list. I have a seven year old who is recovering from Autism. “Recovering from Autism” this is the phrase that my husband and I adopted about nine months into our journey through Autism. 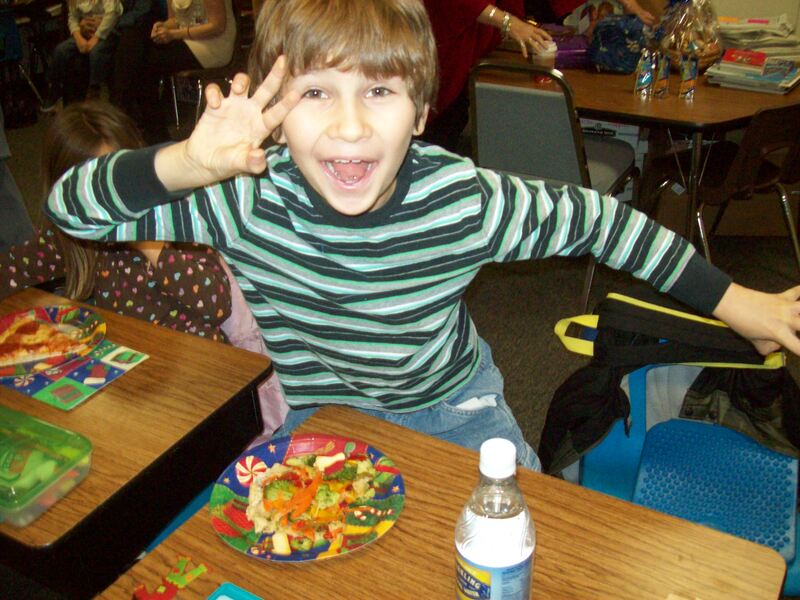 I didn’t want to call him “autistic”, it sounded final, it sounded harsh, it didn’t honor his spirit. Like a lot of families we chose to say that “he has autism.” It’s the truth and it pays homage to the fact that there is more to this little boy than just this one thing. It was better, but it wasn’t enough. I love words and I whole heartedly believe in the power of them. I believe what you think becomes what you say, which becomes what you do and together they comprise how you experience the world. I wanted to say something that would help our entire family to experience our journey through Autism with dignity and hope, so we began to say that Jem was recovering or actively recovering from Autism. And yes, the decision to capitalize the “A” is a choice too. If you live with this in your home you know that it warrants a capital “A”. Okay, I know I will get mail from adults with Asperger’s and High Functioning Autism who will tell me that Autism is not something you need to recover from. They like who they are and how they are. They are offended that there is even talk about needing to recover from Autism. What’s to recover from? Hear me when I say – That is not the Autism I am referring to. If you can read a blog, get offended by it, and feel the need to respond to it, then you aren’t being held back by Autism. Unfortunately that isn’t everyone’s story. My entire goal has been to recover my son from the “Autism” that didn’t allow him to speak, didn’t allow him to communicate or understand the world around him. I am not trying to remove what is essentially him, his way of looking at the world, his interesting and unique way of seeing things…I prize those things. I am fighting for him to be able to communicate those things to the world, the way that I see people with Aspergers and High Functioning Autism do. Imagine the tragedy if Temple Grandin’s mother had not worked tirelessly to help Temple to communicate with the world! What a tremendous loss. When I speak of recovering this is what I am referring to. I don’t know what causes Autism, but five years in there are many things that I do know. 1. It isn’t just Autism, it is Autisms. Two children can both have a diagnosis and display vastly different symptoms. If you know one child with Autism you should not assume that other children will be like them. 2. In the wide range of Autisms there are many people who lead wonderful, productive happy lives. On the opposite end of the spectrum there are children and adults who are incapable of connecting or communicating at all with the world around them. In between these two groups is where the vast majority of people with Autism fall, individuals who fight on a daily basis to communicate – to understand and to be understood. 3. There is help for those who want and need it. In some cases there is even recovery. 4. My personal definition of “Recovery from Autism”? – removing the obstacles which prevent a person from being able to communicate substantively with the world around them, so they can freely interact within the community of their choice. Simply put, I don’t want “Autism” to stop my son from doing what ever he wants. If he wants to be friends with a little boy he just met at the playground, I want him to be able to without “Autism” tripping him up. If he wants to go to MIT and study rocket science, I don’t want stinky old “Autism” to gum up the works. I want him to be who he is, but who he is, is not his diagnosis. Daily we fight the part of Autism that takes him away from us. We also fight the perceptions of the world about what they think Autism is and how they think my son should behave. At the end of the day I don’t have a lot of fight left in me to defend my choice of words. My son is recovering from Autism, everyday he gets closer to being someone who will walk through the world being able to do what ever he wants. I’m good with that. There are some lessons I have to learn over and over again. The biggest one is the power of now. Last night, I was putting my precious seven year old who is recovering from Autism to bed. He had been sick the majority of this last week and had run a low fever for several days. I slathered him with Vicks Baby Rub, gave him a methyl B12 shot and tucked him into bed. And then we had an amazing conversation. It was the kind of conversation every Autism Mom dreams of. He laid in the bed and made amazing sustained eye contact and then he lovingly touched my face. He told me that I needed a haircut, that my hair was starting to look like I was always in a wind storm. Then he smoothed my hair down and told me that I looked beautiful. As if it couldn’t get better he asked me a question about my new job and what it was like. We talked. Back and forth, effortlessly for probably ten minutes. He kept up the killer eye contact and I was putty in his hands. It was easy, he didn’t keep changing the subject back to video games, or start about a subject that I would have to decifer. He asked me questions, listened to the answers and responded to them. We laughed and chattered like magpies. It was heaven. Eventually, I stupidly broke it up. It was past bed time, I wanted to take a shower, yadda yadda poop. As I went to leave he said to me, “May I hug you?” May I? May I? I laughed and praised him and I hugged the daylights out of him. He explained to me that may I is the correct way to ask and even offered the example that workers in stores are supposed to say, “May I help you?” We’ve been working on getting him to ask before giving hugs. He’s getting big and his sudden hugs have been known to nearly topple friends, teachers and therapists. We haven’t focused on grammar, just asking, which frankly hasn’t been going well. Somehow the combination of the methyl B12 shot and the low fever, which in all likelihood burned some of his excessive yeast, left me with a perfect pocket of a moment when my child wasn’t having to fight through his Autism symptoms to talk to me. It was lovely, it was beyond divine. And then I tucked him in and took a shower. In the shower I couldn’t help but think about my Dad after he had his stroke. He was different, communicating was hard. 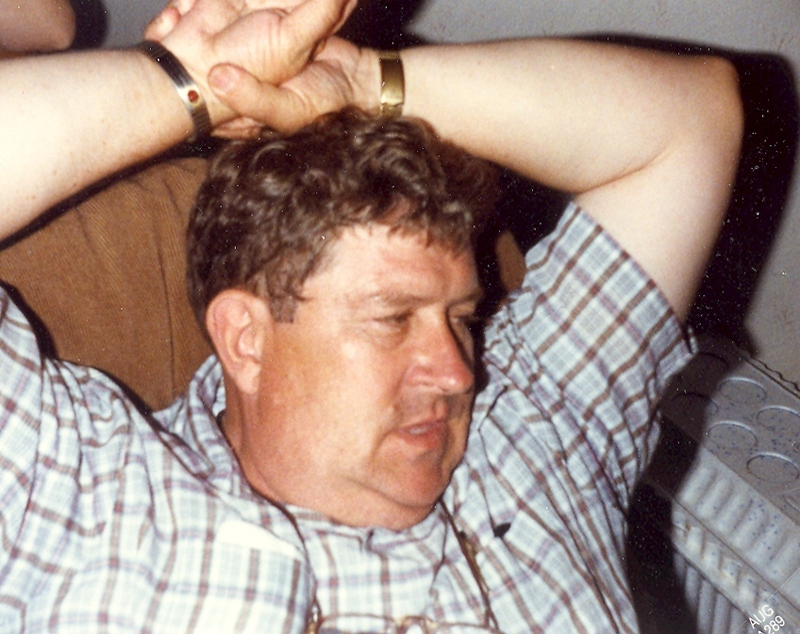 He struggled and we all struggled to get to know this new person who looked like my Dad, but wasn’t. And then every once in a while, the mist would clear and for a short period of time my father would be my father. On those rare moments you could talk to them man he had been before, only that’s not entirely true. He was the old him mixed with the new him in a wonderful, unpredictable way that could simply take your breath away. We quickly learned that those moments would come and go in the blink of an eyelash. If you wanted to participate in them you had stop everything and enjoy the moment. I thought about that and realized the same is true with my son. There are some moments that transcend bedtime, that transcend the desire or need to take a shower. I turned off the water got into my pajamas and crawled into my son’s bed to read Captain Underpants with him. He was tired by that point, but I managed to squeeze a little it more joy out of the moment. I kissed him goodnight again and told him what a remarkable wonderful boy he is. I crawled into my own bed a mass of feelings. I was grateful, a little sad and painfully aware of the passage of time. Moments continue to fly by. Sometimes I catch them, sometimes I don’t. I’m learning…again.